So first this bench happened. I really wanted a dark blue or green velvet bed, but I couldn’t get one in time. Great alternative, right? Shop all of the colors HERE. I bought her on clearance and planned to bring her to Colorado from Texas. BUT Tony has since decided that it doesn’t make sense to bring a truck load. So I don’t know that I’ll be able to get her there. Stay tuned though because she would be PERFECT! If you recognize this room as my Texas guest room, let me explain. I haven’t been in Colorado and wanted to set up some of the items I’ve collected for the room to make sure they look as beautiful together in real life as they do in my head. 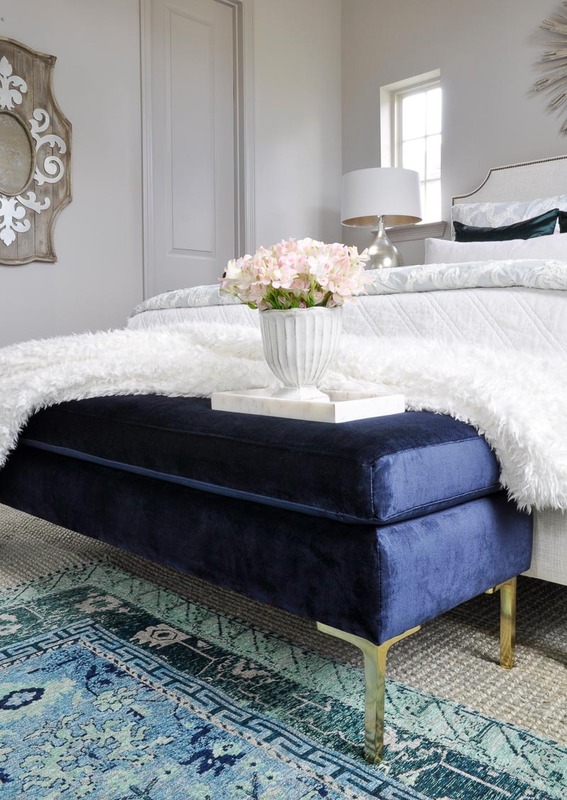 The white velvet coverlet on this bed is one of my favorite bedding pieces. It is so soft and beautifully made. I looked for one I liked as much for the loft, but I kept thinking of this one. The king size version is now mine and waiting for me in Colorado. Like the coverlet, the throw you see is by Pom Pom at Home as well. It is oversized and softer than words can express. My story about it is the opposite of the velvet bench. I didn’t intend to use it in the loft bedroom, but if the bench goes, it goes too! Every time I look at it, I love it more. My original selection was gold as well. 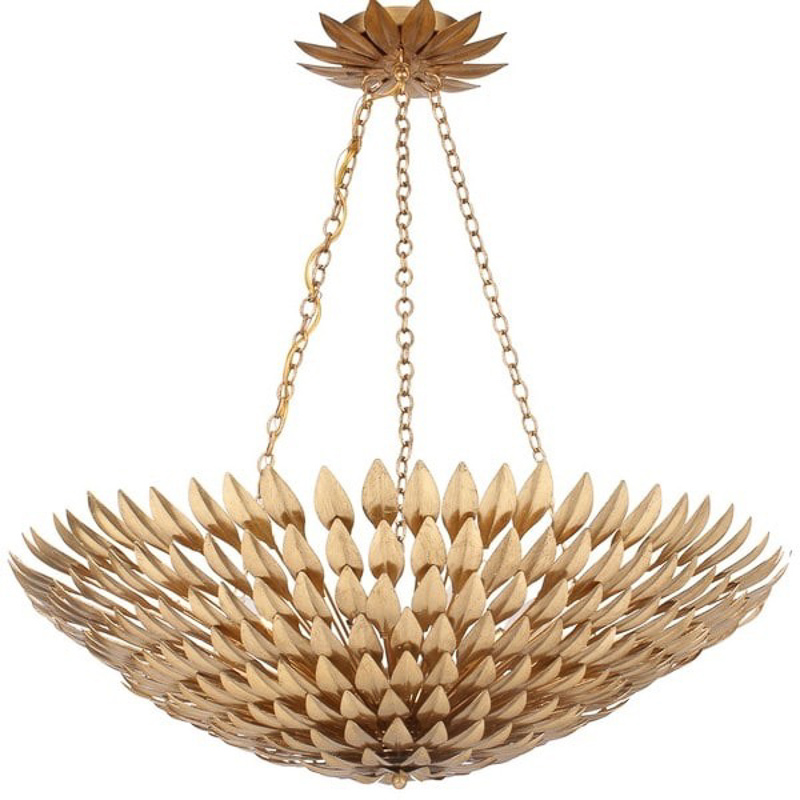 I couldn’t get it, but Lighting Design found this one by Crystorama for me and I love it! The only thing, just after I decided to order it, I noticed one just like it in one of my blogger friend’s home. My stomach kind of sank for a second, but I called her and she was so sweet about it. I’ll be sharing more of the story and her room once I get our loft bedroom together. I want you to meet her and also see how one chandelier can look in two different rooms. Also this week, the Minted art arrived and I can’t wait to get it on the walls! The wallpaper installer wants $500 to hang the one wall of paper. And that’s after we prep the wall so I think we are just going to go for it! I hope you will wish me luck! It will be my first time hanging wallpaper, but I have learned that the self adhesive vinyl paper may be a bit easier to install than regular paper. I’ll let you know. Week 5 was great and I’m excited to be so close to the finish line! 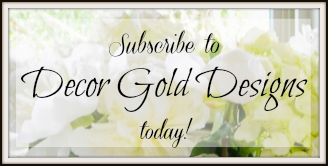 I hope you will continue to follow along! 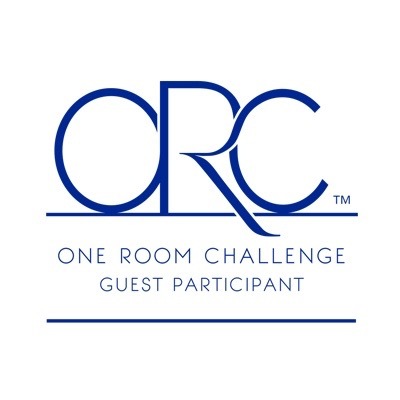 Be sure to check out all of the featured and guest participants of the One Room challenge! I am very happy to be working with the following sponsors who are providing products for this project. As always, all of my opinions are my own and I only work with brands that I truly love. 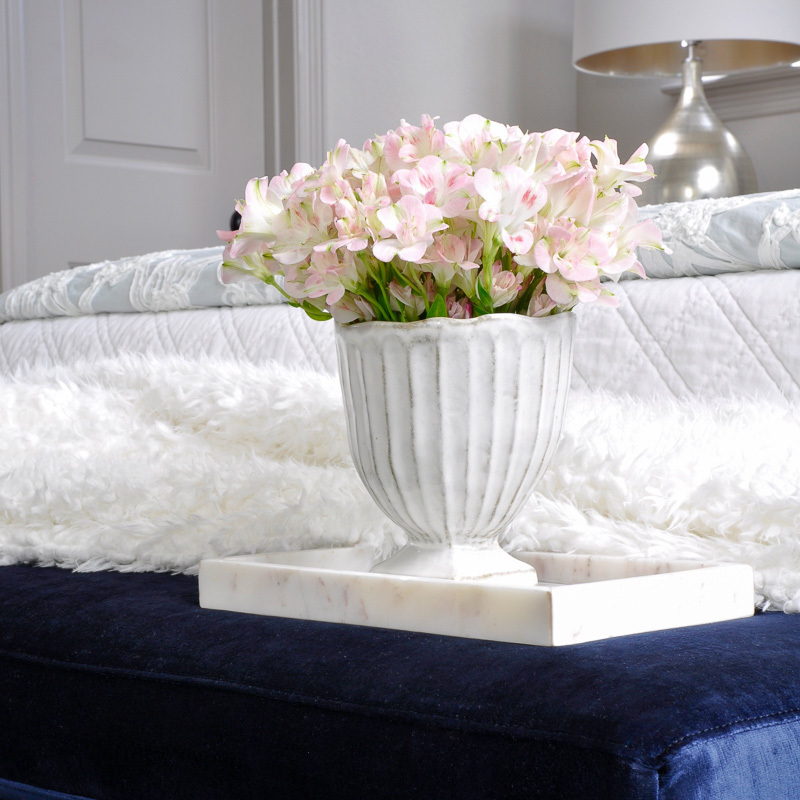 I love the blue velvet bench… Gorgeous! Your rug is fantastic too! nice luxe velvet bench in deep royal blue! 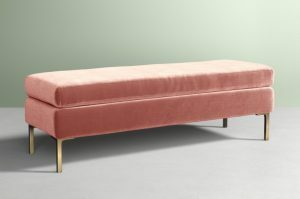 love that you mentioned the green velvet bed … well i didn’t get a green velvet bed but I did get a green velvet bench! Great minds! looking forward to seeing more in 2 weeks! That blue velvet bench!!!! I hope you are able to get it there, it is a show stopper! THAT. BLUE. VELVET. BENCH is divine!!! It’s a room (show) stopper for sure.